Learn more about the B.C. 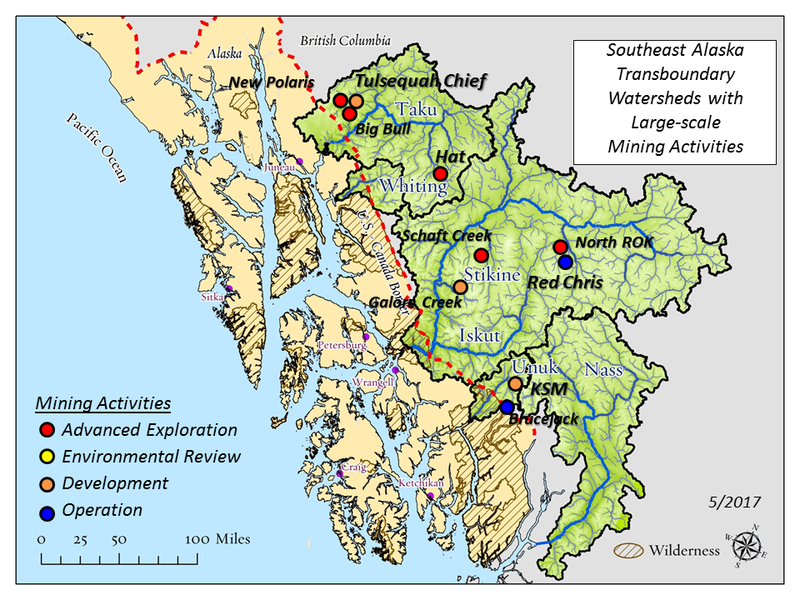 mines upstream from Southeast Alaska. Ten large-scale mines (and counting) are in various stages of development at the headwaters of the three major rivers that flow from British Columbia into Southeast Alaska: Taku, Stikine and Unuk. Local indigenous culture and Southeast Alaska's booming fish-based economy revolve around clean water and healthy salmon runs. Mining in B.C. puts this all at risk. The numbers next to mine names on the map above correlate with the information below. 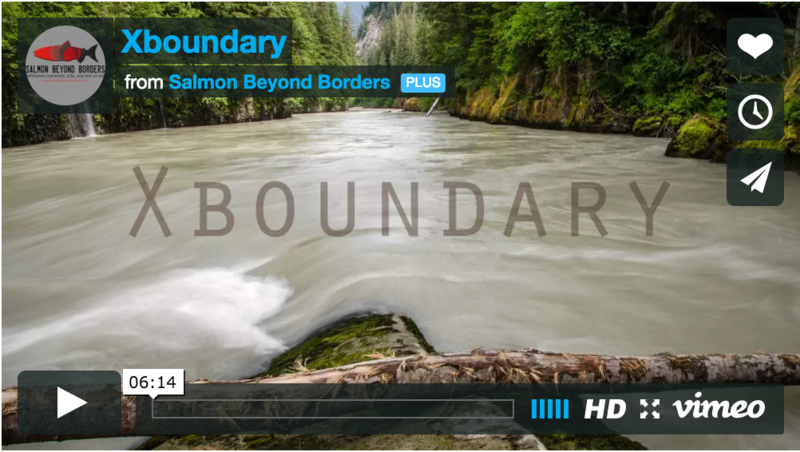 Tell Secretary Pompeo and Minister Freeland that we need international binding agreements to defend the transboundary watersheds of Alaska/B.C. Taku watershed; underground gold. Learn more. Taku watershed; open pit copper and gold. Learn more. Stikine watershed; underground and open pit copper and gold. Learn more. Teck Resources Limited and Copper Fox Metals Inc.
Stikine watershed; open pit copper, gold, silver, and molybdenum. Learn more. Taku watershed; underground copper, gold, lead, zinc and silver. Learn more. Teck Resources Limited and NovaGold Resources Inc.
tikine watershed; open pit copper, gold and silver. Learn more. Unuk watershed; open pit copper and gold. Learn more. Unuk watershed; underground gold. Learn more. Stikine watershed; open pit copper and gold​. Learn more.